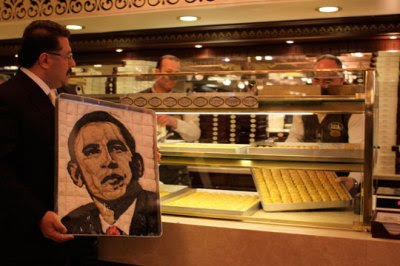 President Barack Obama completes his first 100 days in office on April 29th -- a period marked by major domestic and foreign policy initiatives. Here are some of the highlights of Mr. Obama's first 100 days in the news, produced by Brian Allen. "Our Common Wealth: The Massachusetts Experiment in Democracy"
The exhibit traces the Massachusetts experience through the colonial, revolutionary, federal, and nineteenth century reform periods. The sub-theme, “Tracing our Roots,” tells the story of four representative Massachusetts families of Native American, English, African-American and Irish heritage. Click here for the Treasures Gallery & Documents. The San Francisco Chronicle, The Boston Globe, The Chicago Tribune, all are major U.S. Newspapers in financial trouble. The owners of two of those big dailies have threatened to close down, as happened to newspapers this year in Denver and Seattle. As big city newspapers struggle to survive, industry experts say many small community newspapers around the country are doing fine. Jeff Swicord visited a small weekly serving a suburban community to learn why. On THIS IS AMERICA: Publishers search for ways to redesign an industry that helped incite the American Revolution. Do you trust everything you read, see or hear on the news? 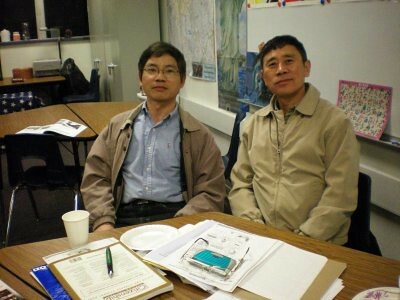 Here are some ealy Spring photos of Milpitas Adult Education Citizenship class. You can download individual photos here. On April 23, there were three Oath Ceremonies at the Campbell Heritage theater (10am, 1pm, 3pm). I attended the 1pm ceremony with Li Jiayan and her family, then stayed to "twitter" the 3pm ceremony. The tweets are time-stamped so that new citizens and their families can know what to expect during the Oath Ceremony. I sat in the far corner of the balcony so I could text discreetly while showing the proper respect for this very, very important ceremony. Here are the "corrected" (many typos) tweets from the Oath Ceremony. 3:11 PM the pre-ceremony has begun. They are talking about voting. 3:33 PM remember: always exercise you right to vote. 3:44 PM America: melting pot or stew pot? 3:45 PM Roll Call of Nation begins! 3:46 PM India! Iran! Iraq! 3:48 PM VIETNAM--hello TAM LAM! 3:50 PM So help me God! 3:51 PM Congrats! Cheer! Clap! Wave flags! 3:53 PM with liberty and justice for all! 3:55 PM My fellow citizens...sounds good, eh? 4:00 PM Video: AND I AM PROUD TO BE AN AMERICAN!!! 4:02 PM GOD BLESS THE USA!!! 4:03 PM I am going to look for my former students--later! 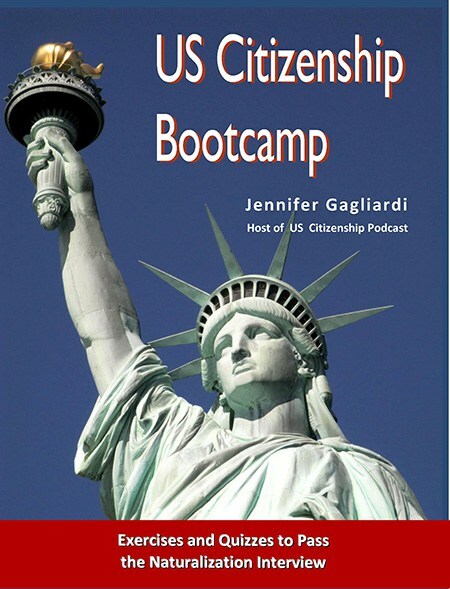 On April 23, 2009, twelve hundred new citizens from Santa Clara County gathered together at the Campbell Heritage Theater to take the Oath of Allegiance (in three Citizenship ceremonies). Congratulations to everyone, especially to the new citizens from Milpitas Adult School. 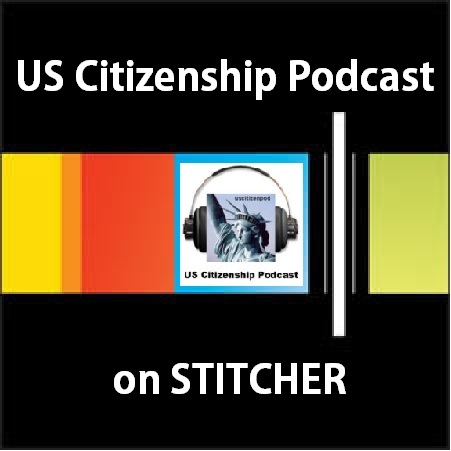 Thanks to the USCIS officers who made this a day that we will never, ever forget! 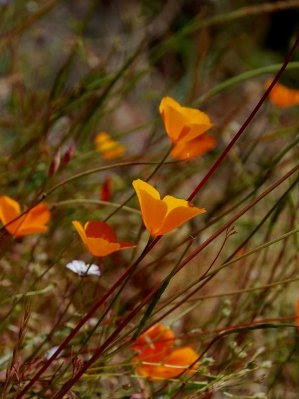 Special thanks to Flicker Flacker Films--good luck on your naturalzation documentary--we can't wait to see it! 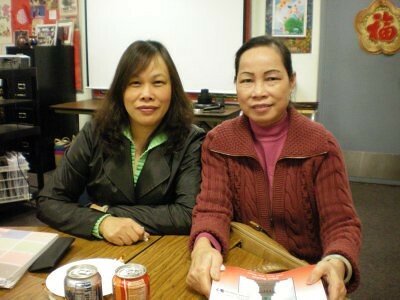 Ngoc (left) just passed her Citizenship exam. Hoa will interview next month. 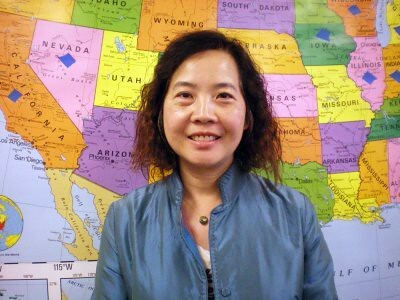 Today we will listen to an Easy Interview with Ngoc Tram My Nguyen (Hue, Vietnam). 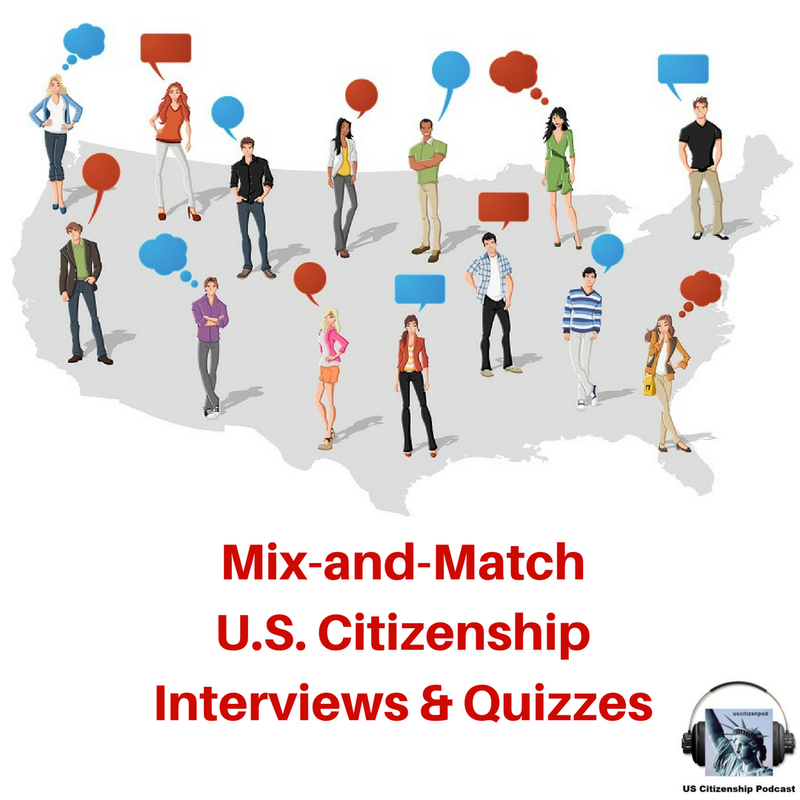 One in four U.S. youths is an immigrant or a child of one, and a troubled minority of them offers cause for alarm. 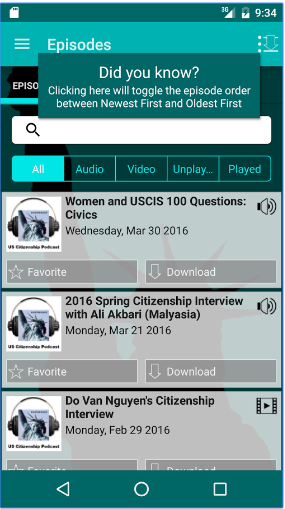 SPRING CLEANING (04/01-04/15): USCitizenPod will re-post old USCIS 96 questions resources, then re-organize the sidebar. 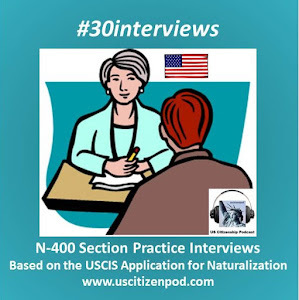 USCIS 100 questions and interview resources will be featured; the USCIS 96 questions resources will be consolidated into one sidebar group. We will also test all links. Suggestions or concerns? 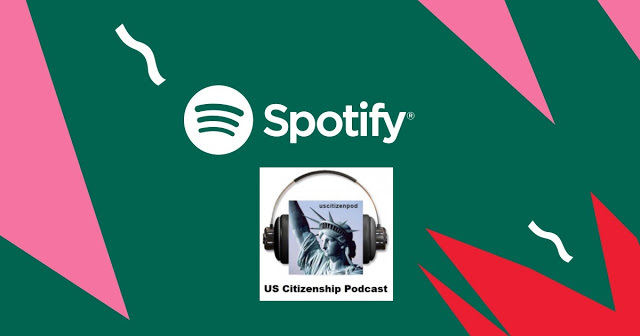 Email uscitizenpod@gmail.com. Thanks! 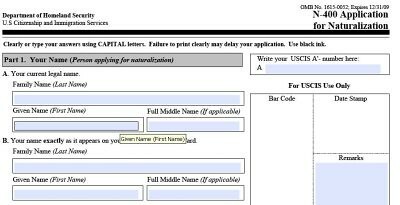 Fill out the N-400 on the computer; print out the completed N-400; mail the N-400. OR Print out the blank N-400; complete the N-400; mail the N-400. 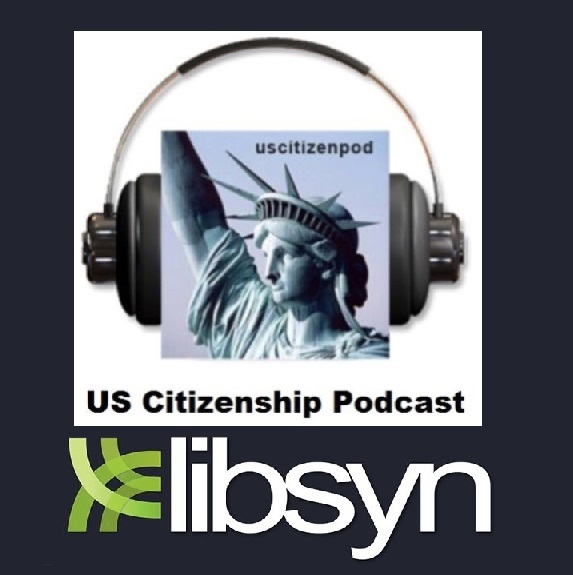 USCIS 100:10 What is freedom of religion? or not practice a religion. In honor of Easter, here is a quick tour of the religious communities of Milpitas and Berryessa (East San Jose). My family moved to San Jose in 1964. My father was assigned to teach in the new public high school, but the building wasn't ready. Instead, the Milpitas and San Jose students had to "share" a school campus: the current site of Milpitas Adult School. My siblings and I went to the newly built Catholic school, St Victor's. When the school began, the religious sisters were Irish-Americans and the students were either Italian- or Mexican-Americans. 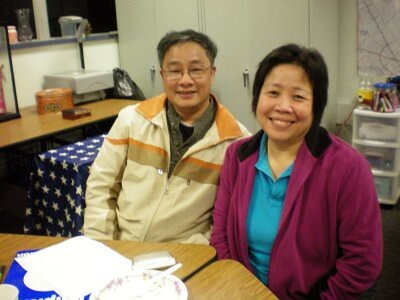 Now there are lay teachers and the students are mostly Vietnamese- or Filipino-Americans. On Sunday, many people park in the Milipitas Adult School parking lot, then walk to Silicon Valley Alliance Church. Around the corner is a storefront Muslim mosque, Masjid Dar Al-Salaam, and down the street is a Buddhist charity Tzu-Chi. 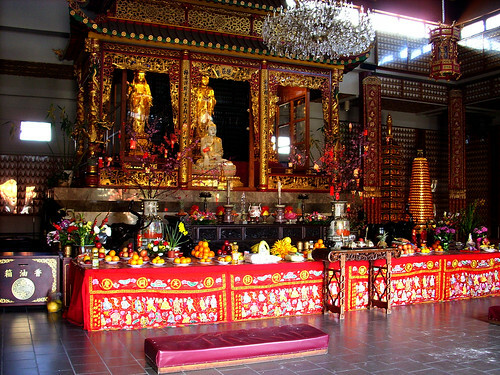 The Pao-Hua Buddhist Temple (McKee Road, San Jose) serves free vegetarian meals every Sunday. 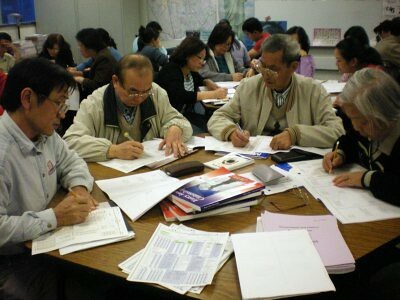 Many of the Buddhist Vietnamese students visit Duc Vien Temple (McLauglin Road, San Jose) to give thanks for passing their Citizenshp Test. 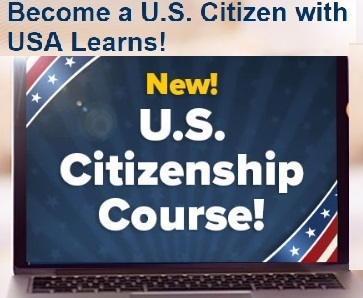 The Chinese Church in Christ (Main Street, Milpitas) offers US Citizenship preparation classes. Main Street, Milpitas is also home to (2) the Avatamsaka Buddhist Lotus Society, (3) the Jain Center of Northern California, (4) Shri Swaminarayan Mandir, (5) St. John the Baptist Catholic Church and School, and (6) St. James Orthodox Church (great festival!). The Sikh Temple, (6) Gurdwara Sahib, is a quick trip up 680, to Mission Blvd, Fremont. St Elizabeth's Catholic Church & Mount Olive Lutheran Church host very active scouting programs. 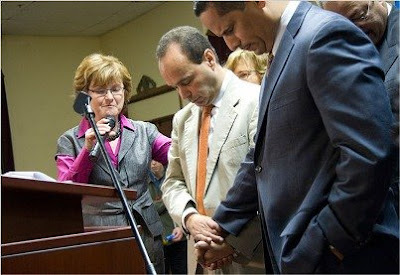 Rep. Luis Gutierrez has been visiting churches to build support for a bill. 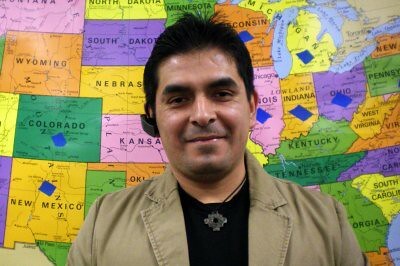 NCLR: Take the Hate Out of the Immigration Debate English. Espanol. 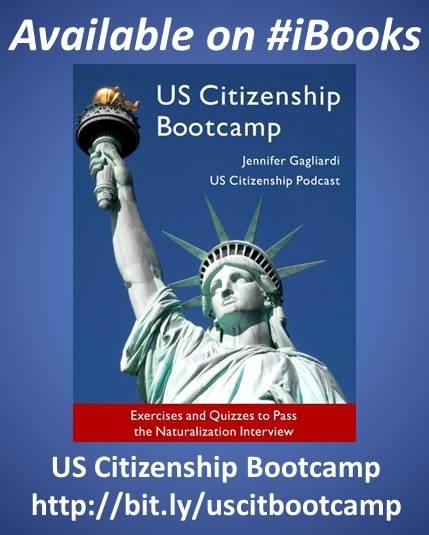 for helping him prepare for the USCIS interview. 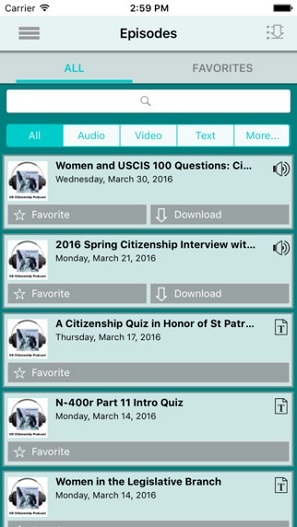 If you have access to USCIS 100 Questions in any other languages, please, please, please email your copy to uscitizenpod@gmail.com. Thanks! also known as the Baracklava. Hostages left a building near the American Civic Association in Binghamton. A gunman invaded an immigration services center in Binghamton, N.Y., on Friday, killing 13 people and himself in a paroxysm of violence, the police said. Teacher Jennifer: My heart broke when I heard this story. 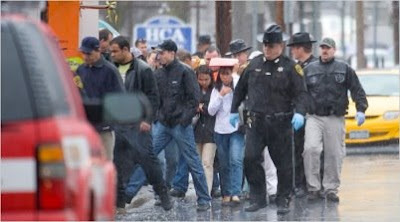 Please pray for the gunman, his victims, the ACA staff, students, and their families, and the people of Binghamton. Discuss this tragic story. Talk about anti-immigrant discrimination and violence. Review school and personal safety procedures. A partial list of people who were in the ACA when the shootings occurred. The students really concentrate during the CASA Citizenship Listening (Field) Test. What is the value of Adult Education? 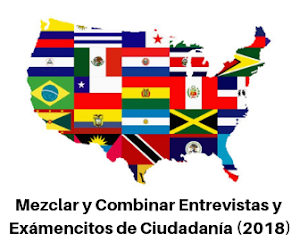 to our communities, state, and country? 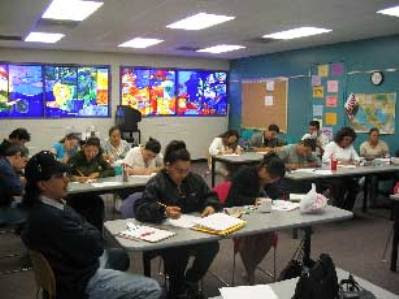 In 2003, faced with a budget deficit, the Arizona State Legislature recommended complete elimination of state funding for adult education and family literacy. 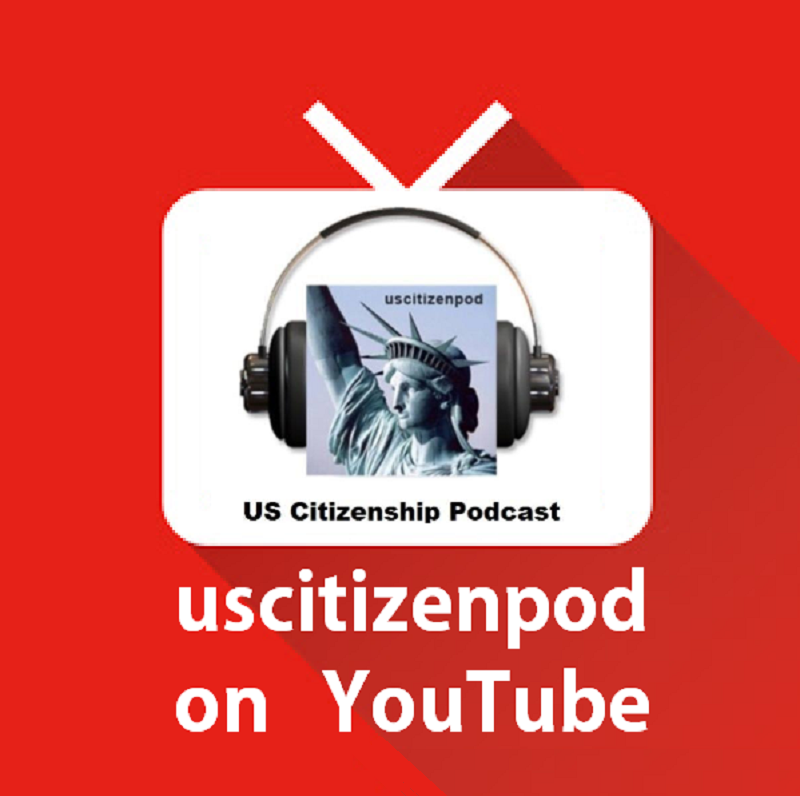 The crisis marked the begining of a remarkable learning process about government and civic participation. Here is a Sample Letter to an Elected Official from the Arizona Association for Lifelong Learning. There are many more interesting videos and stories on Stories for Change: an online meeting place for community digital storytelling facilitators and advocates. Make and share your own story today! Students taking the CASAS Citizenship Listening (Field) Test--they loved it! Stands Up for Adult Education @ a recent School Board meeting. 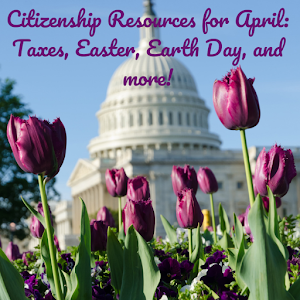 President Obama will send his Fiscal Year 2010 budget proposal to Congress on April 21, 2009. The Grijalva Dear Colleague Letter says that adult education must be a high priority for increased federal support. 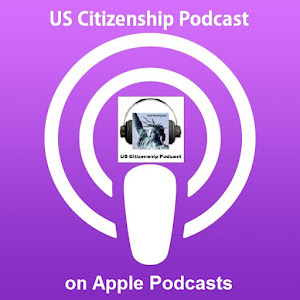 We urge students & teachers, citizen & non-citizens, and all those who use www.uscitizenpod.com to send letters to their US Representative and Senator, and ask them to support this bill. Their plans after they graduate. The request for additional funding or an increase to $750 million. Students can also make the contact over the telephone with the appropriate Washington office. Callers should identify themselves as a student, staff, or friend of adult education and make the request for additional funding. Remember that all contacts for members of the House should only come from residents of that Congressional district. Senators Home, (for members of the Senate). Both of those websites will allow you to click onto the individual members pages, and then you will find a Contact your Member of Congress link in which you can type the message. It is very important that we start this campaign now. 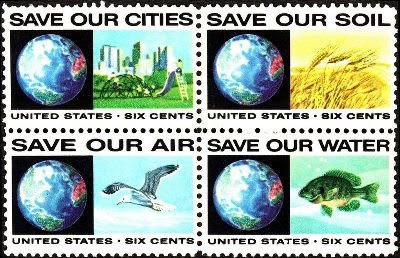 Please contact your representatives before April 21, 2009. Thank you again for your continued commitment through advocacy to our students. (The post has been modified from an original email from the National Council of State Directors of Adult Education).